Constructed between 1746-1762, St. George Cathedral, is on a hill of the same name overlooking the city. This is the third manifestation of a church to inhabit the site since the 13th century, and its prominence has repeatedly made it a target for invaders and vandals. During the 19th and 20th centuries, the cathedral served as the mother church of the Ukrainian Greek Catholic Church. The most precious relic of the church is the Wonder-working Icon of the Virgin Mary (17th century). 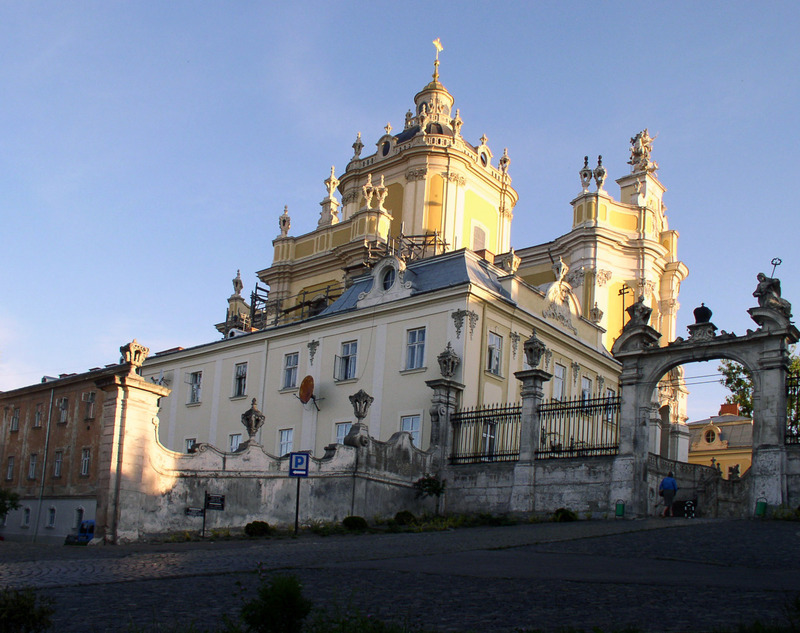 It was brought to Lviv from Terebovl in 1674 by bishop Joseph Shumlianskyi. The architectural ensemble of St. George's Cathedral also includes a belfry, the Baroque Metropolitan Palace and chapter house, as well as a garden, enclosed behind two gates.